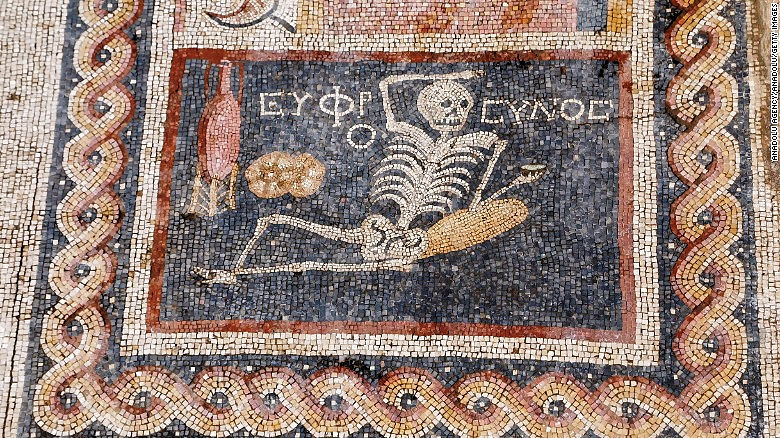 Turkish archaeologist Demet Kara has excavated a 2,400-year-old mosaic that features a laid-back skeleton, reclining with a cup next to a bottle of wine and loaf of bread, surrounded by the wise words: "Be cheerful, enjoy your life,". The mosaic dates to the third century B.C. The mosaic contains the quote "Be cheerful, enjoy your life" which sums up things pretty nicely.